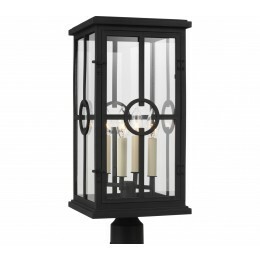 The Feiss Belleville four light outdoor post top in Textured Black enhances the beauty of your property, makes your home safer and more secure, and increases the number of pleasurable hours you spend outdoors. 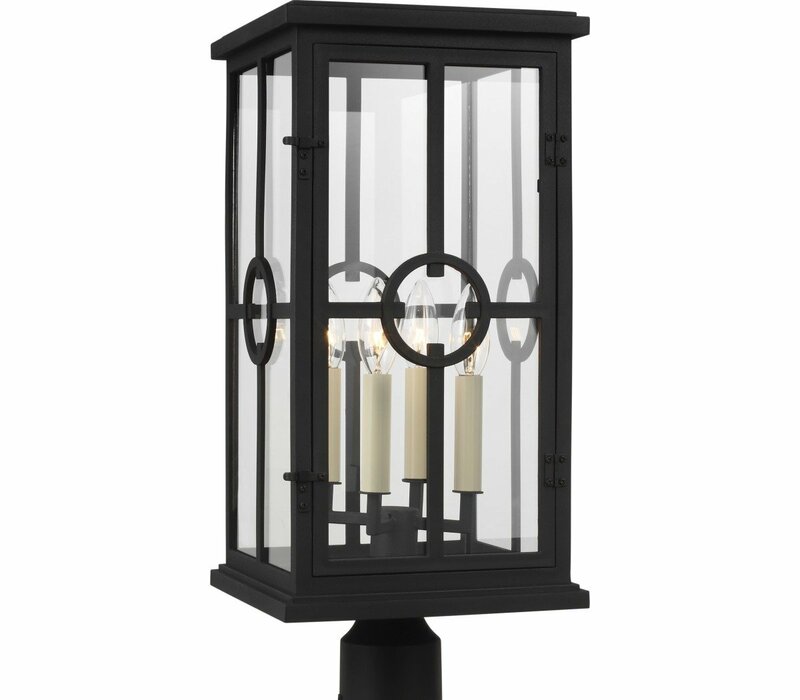 Encased in glass and defined by a Textured Black finish, Belleville is a candelabra-style wall lantern that illuminates an outdoor space with timeless elegance. The assortment includes: a small, medium and large wall lantern, 3-light pendant and 3-light post lantern.